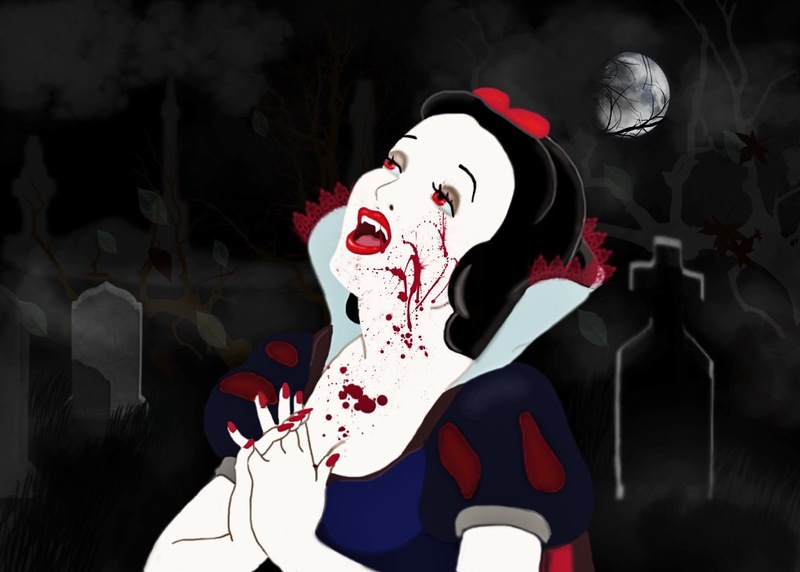 Skin as pale as snow, lips as red as blood… what could Snow White be other than a Vampire? 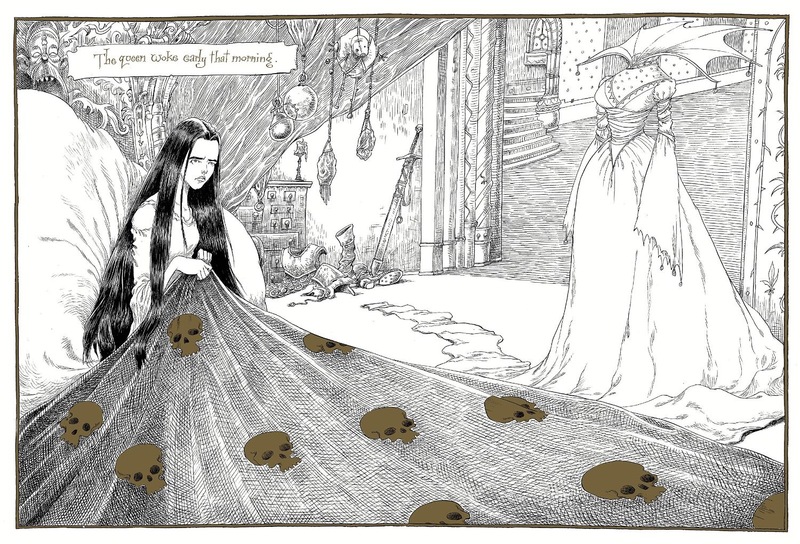 Neil Gaiman explores the Snow White tale as vampire fiction in “Snow, Glass, Apples”, imagining the princess as a figure of living death and the “Evil Queen” as a witch trying to protect her people from a monster. This Queen, like the one in the canonical Snow White tale, uses a mirror. However, her mirror is not a vessel of vanity used to compare herself to other beauties. Instead, it is a vessel of prophesy, telling her of her future with the king and this young girl. Like the canonical tale, this one is also a tale of aging, but rather than the queen fearing her own aging and envying the youth of the princess, this Queen fears what the eternal youth of the princess represents because there are unnatural things in the world that don’t age. A vampire tale is a perfect adaptation for the Snow White exploration of age. The Queen interacts with her own story, telling us that people told tales of her being given the heart of an animal, when in fact she was given Snow White’s vampiric heart and she tells readers that she did not eat the heart as some tales suggest. “Lies and half truths fall like snow”. She is an active agent in telling readers her own story, one that allows her to be the hero instead of the villain. 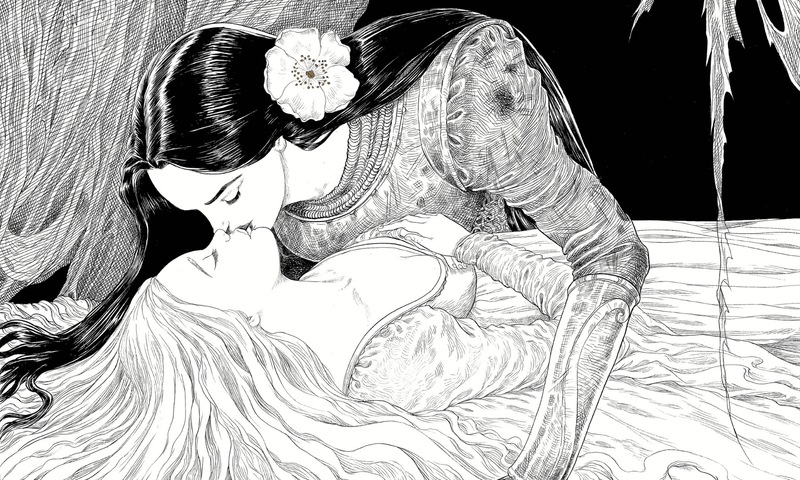 Snow White is left without her heart in the forest, but that heart is not stabbed through as in traditional vampire stories and the princess rises from the grave, from her sleep curse. The queen discovers that Snow White has been hunting the forest folk when she looks into her scrying glass. She realizes she needs to use her knowledge of witchcraft to cope with the girl and adds her blood to apples, again playing with the theme of blood and the crimson of apples. 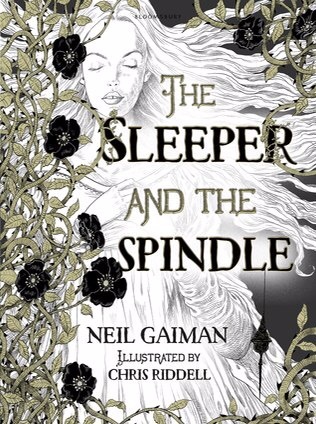 Gaiman creates a tale of reversals, with a vampire-hunting queen, a necropheliac prince, and a Snow White shaped by hunger. 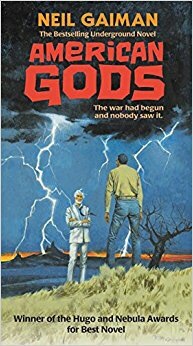 He probes the boundaries between life and death evoked by the original tale and infuses it with blood.